Simply Perfect Parties - Get Involved. Make Friends. Enjoy Motherhood. A MOD Moms business. 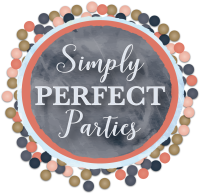 Simply Perfect Parties is a boutique event styling and planning service that focuses on the details of each and every event. SPP provides a wide variety of services from themed mobile children’s parties to corporate events.